Contrary to popular belief, an ostrich never buries its head in the sand. It doesn’t need to. It is the largest living species of bird on the planet and the fastest animal on two legs. It can’t fly, but it can sprint up to 40 mph and land a very powerful kick! Wild ostriches live in Africa’s savannahs and semi-arid Sahel region. They once populated parts of the Middle East but were hunted to extinction there by the mid 20th century. They are located in the African Journey area of the Maryland Zoo, next to the flamingos. Ostriches graze alongside other large herbivores such as zebra and antelope. The Maryland Zoo has two ostriches and you can see them, yes, grazing alongside the zebra and rhinos in the African Watering Hole exhibit! Ostriches live in nomadic groups of 50 or more birds (although usually more like 10 in a group), with a dominant male, dominant female, and other females in the harem. They mainly eat seeds and other plant matter but, when opportunity presents itself, will also eat carrion or insects such as locusts. In captivity, ostriches are known to eat just about anything.To help digest food, ostriches swallow small stones and sand. Like all birds, they have no teeth so they can’t chew their food. The stones and pebbles help to grind swallowed food in the gizzard.  (Maybe, from a distance, some ostrich swallowing sand looked as if it were burying its head in the sand…). Ostriches can go many days without water, surviving only on the moisture locked inside their plant food. However, they like water and will drink and bathe in it when they can. Among all the different animals grazing on African savannahs, ostriches certainly stand out. They are easily recognized. For many centuries, ostriches have also made their mark on human culture. Since Roman times, their feathers have been sought for ornamentation in clothing and their skins to make leather goods. 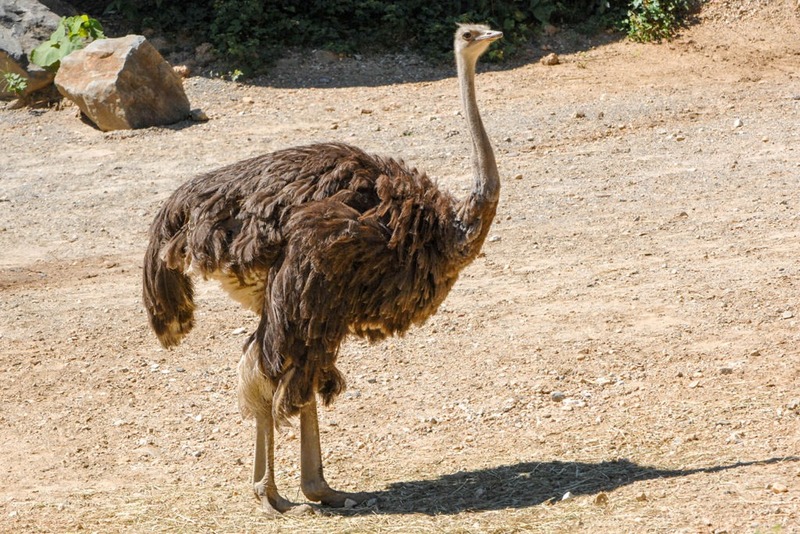 An ostrich has a few tried-and-true ways of fending off predators. Sometimes it will hide in plain sight by lying down and laying its head and neck flat on the ground. From a distance, especially if there’s a heat mirage, it can be mistaken for a mound of dirt. If a predator such as a lion is actively pursuing an ostrich, it will run. At full speed, an ostrich is very hard to catch! If a predator gets close enough, an ostrich will kick and slash with its large, clawed feet. A dominant territorial male will mate with all female members of his harem but will form a pair bond only with the dominant female. Together, they will guard the nest and incubate the eggs. All members of the harem will lay their eggs in the same communal nest, but the dominant female will put her eggs at the center of the nest to be sure that they survive. Eggs at the outer edges of the nest may get pushed off or may not get incubated and will not survive. The dominant female will incubate the eggs by day and the male will incubate by night. By day, the female is well camouflaged – her drab brown feathers blend into the brownish landscape. At night, the male is well camouflaged – his black feathers disappear against the dark nightscape. Other males may challenge a dominant male for access to his harem. (In other words, they want to breed with the females.) When two males fight for mating rights, it’s an intimidating spectacle. The huge birds will hiss loudly and slash at each other with their legs. It takes about 40 days for ostrich eggs to hatch. Keeping them safe all that time is tough work because many predators – especially jackals and hyenas – will try to steal them. Given that they are the largest eggs in the world, they are quite a catch. A single ostrich egg weighs about as much as 24 chicken eggs! Ostrich chicks hatch from their eggs fully feathered. Within a few days, they will leave their nest and follow their parents around. Both parents take an interest in them from the start. They will defend the hatchlings from predators, shelter them under their wings, and teach them what to eat. Ostriches were hunted to extinction in the Middle East and might have met the same fate in Africa if not for the evolution of ostrich farms. Ostriches are now farmed commercially in more than 50 countries around the world, including the United States. They are farmed for their meat, their skin (which makes good leather) and their soft and attractive feathers, which are prized in the fashion industry and for use as feather dusters! In the wild, ostriches are neither threatened nor endangered. National Zoo Keeper Week Profile – Ellie Y.
Keeper Spotlight – Becky L.
“Flash and Beauty,” Zoogram, Fall 2008, pp. 8-9.